Could you do something amazing and change a child's future? You can do this by becoming an adoptive parent with Torbay. Adopting a child is one of the most challenging, but also one of the most rewarding, things you can do. 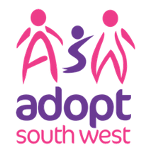 Torbay is also part of the Adopt South West partnership, which is a partnership between Devon and Plymouth Council, Barnardos and Families For Children. This partnership was set up to raise awareness about adoption and to help you, potential adopters, make an informed decision about which agency, or agencies, can help you.